Meier Skis markets 12 models, including the “Quickdraw,” which co-owner Ted Eynon says is perfect for Northeast conditions. If you attended November’s ski and snowboard expo in Boston, you may have noticed some unfamiliar names amid all the big-name ski and snowboard manufacturers that exhibited there. Tucked in among the booths were names like Parlor, Ramp, and Meier, and all were bustling with activity throughout the show. Just like the rise of craft beer, craft ski manufacturers, sometimes called “boutique” brands, are disrupting the status quo as they dive deeper into the market. Just look around you next time you’re in a lift line. For Meier, it was the first time the company had a booth in Boston, but for the guy running the display, it was a bit of a homecoming. “I’d say 10 percent of the people that came by the booth knew us,” said co-owner Ted Eynon, a native of Ashland who grew up skiing the Northeast and remains a fan of Boston’s pro teams. Eynon is now based in Colorado, where he is working with partner Matt Cudmore, who founded Meier Skis in 2009, to raise recognition for the brand. He sold about 25 pairs at the Boston expo, then stayed in the area to meet with retailers. Meier markets itself on hand-made quality. All of the 12 models feature a wood core made from Rocky Mountain Aspen and beetle kill pine. 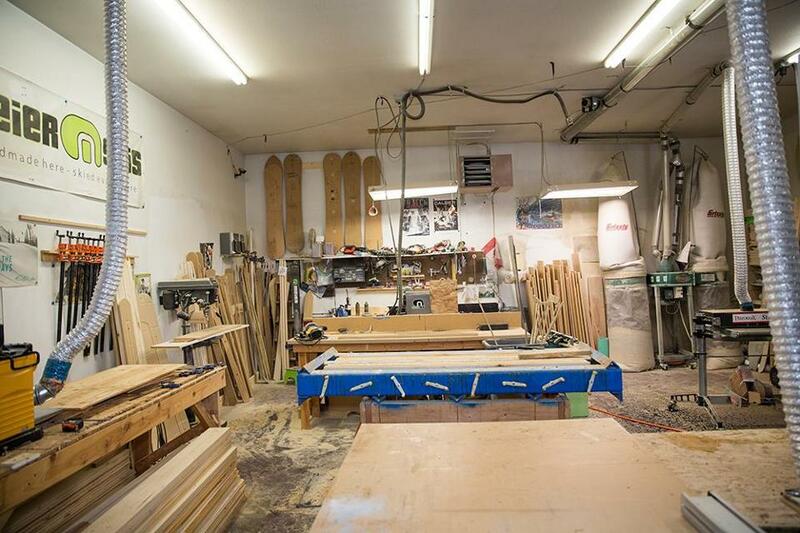 “Handmade skis from Colorado trees,” is the company’s slogan. “They all kind of get their own unique signature with the colors and natural beauty of the wood,” Eynon said. 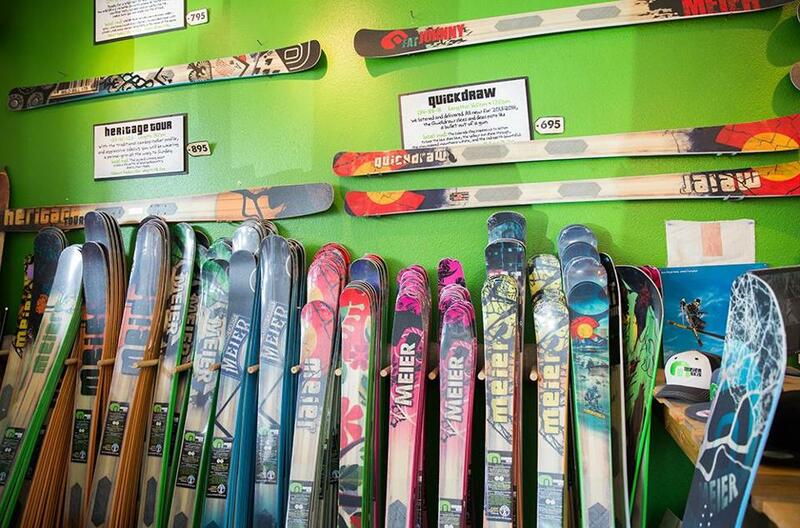 “Most of the skis that are out there, the big brands, are typically made in China or eastern Europe. But in the last 20 years, more and more US-made brands have been popping up, and a lot of the innovations are coming from those smaller brands,” Eynon said. Eynon joined Meier in 2012, after selling his software company to General Electric, going to work for GE briefly, then opting for another route. “I’m just not a corporate guy,” he said. The ski industry had always piqued his interest, so he attended a Snowsports Industry Association show in Denver looking for opportunities. “I went there and went walking around trying to see what caught my attention, and it was the small ski and snowboard brands,” he said. A couple weeks later, a friend sent him an article in the Denver Post about Meier Skis. “So I reached out to Matt, we got together and went skiing and drank beer, and one thing leads to another and we decided we’re going to set up the factory and go into business together,” Eynon said. Together they’ve grown Meier – the name comes from Cudmore’s wife’s maiden name – into a thriving brand with a small stable of athlete endorsers and a handful of awards. One goal is to open a new facility in Denver – the headquarters is now in Glenwood Springs, Colo. – that features not only a factory but a major showroom and a brewery. Eynon is also hoping to schedule some demo days for Meier Skis at New England ski areas. “I think there is a bit of a revolution with people wanting to buy US-made [skis] as long as the quality is there and the skis are top-performing skis. There’s definitely an appetite to support local if you’ve got a good product,” Eynon said. A view of the Meier factory in Glenwood Springs, Colo. While New Hampshire skiing great Bode Miller is taking a year off from ski racing, he’s still in the speed game. His horse racing stable, appropriately named Double Black Diamond Racing, debuted its silks recently. His interest in horses has not kept Miller completely off the snow, either. Eurosport recently released a 360-degree video of Miller on the famous Birds of Prey downhill course at Beaver Creek. Watch it on an iPhone or iPad here. 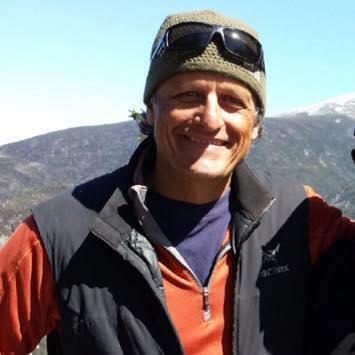 Frequent Boston Globe snowsports contributor Dan Egan was named the winner of the North American Snowsports Journalists’ Association’s Mitch Kaplan Award for 2015. A very interesting item appeared on SnoCountry.com recently about what to believe when it comes to ski conditions reports. While the old game plan was to use clever language to mask the true conditions (“frozen granular” sure is a fancy way of saying ice), resorts are now embracing the idea of telling it like it is. That makes sense in the Internet age. I know when I have a trip planned, I visit an area’s website frequently and I’m especially fond of the short videos posted there. The online community also provides a pretty accurate picture, from websites like AlpineZone.com to Twitter, where you can just search the area’s name and get a pretty good idea of what you’re in for.